We understand that a high-quality Montessori education is a privilege not afforded to everyone but believe strongly that each family has gifts to share as part of our community. As a result, a percentage of standard tuition supports families who need financial help in order to join our community. Families and community members may also choose to donate additional time, money, or other resources. Dandelion Montessori is founded under Dandelion Parent Education Incorporated, a 501(c)(3) non-profit organization listed on GuideStar. Our mission is to support children and their families through and outside of school by providing a Montessori Education. We do this through our school community and, as our school becomes more established, we will be planning Montessori-related parent education events that are open to the public. Donations fund our tuition assistance program and allow us to support economic, ethnic, and racial diversity in our Montessori classroom. You can donate via Paypal using the button below or Venmo @dandelionmontessori. Please provide your name and address so we can provide a receipt and thank you note. 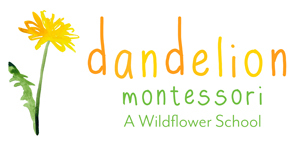 You can also donate to Dandelion Montessori by patronizing a number of affiliate organizations that donate to Dandelion when you purchase items through them. Feel free to distribute broadly!! It’s best practice to let people know when posting that this is an affiliate link (meaning we get a kickback), just so people know who the benefit is going to. Also, these kinds of things help with word-of-mouth advertising for Dandelion itself (we always get more hits to the website after something like this gets posted online). Our teachers have posted nice-to-have curricular items to our registry on Thankful Registry. Your gift to our classroom helps to make your generosity visible to our children. We get a 20% of anything you buy at Mabel’s Labels: If you click on “Support a fundraiser” at the top right and then choose “Dandelion Montessori Coop”, a percentage of your purchase will go to our tuition assistance program. Shutterfly’s parent company sends us 25% off coupons all the time. Ask us what their current promotion is if you need pictures printed or photo gifts. And then start your purchase by going to http://dandelion.shutterflystorefront.com We’ll get 13% of your purchase. List an item using this link and donate a percentage of an item sold to Dandelion Montessori. Click this link and send to your friends and family to designate Dandelion as your favorite charity. You’ll need to log in to smile.amazon.com when you order each time and Amazon will donate .5% (half a percent) of your purchase to Dandelion.